The network announced Wednesday that Seth MacFarlane will be presiding when “SNL” begins its 38th season Sept. 15. Musical guest will be Frank Ocean. 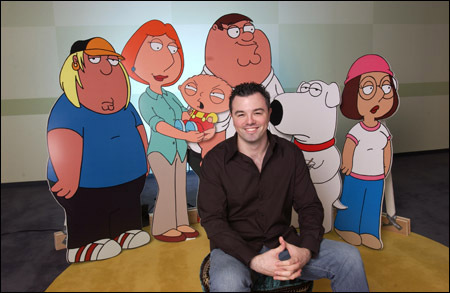 The multitalented MacFarlane created the Fox series “Family Guy” and serves as writer, producer and voice artist on the show. He recently directed his first feature film, “Ted,” and furnished the voice for its teddy-bear title character. Future guest hosts on “SNL” this fall include actors Joseph Gordon-Levitt and Daniel Craig.